Get more recipes like this from Robyn Puglia. I think that egg free pancakes might be one of the things I thought were impossible for a long time. I’m not really that strong a recipe creator in general (although getting better every year of cooking) and DEFINITELY not when it comes to baking. I need a recipe for baking for sure. So, I am delighted to find that proper pancakes DO exist without eggs, that are also grain free, dairy free etc. I have adapted this recipe to suit my own intolerances, but link to the original recipe at the end. 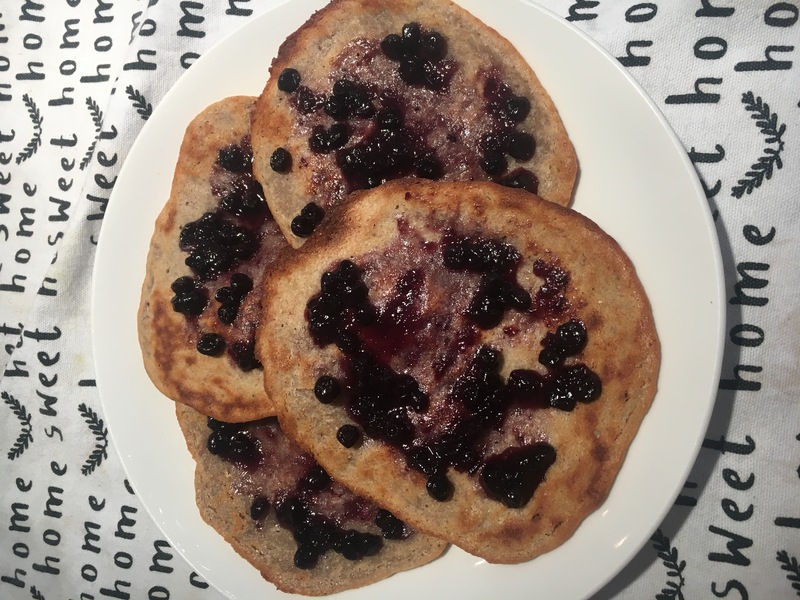 This recipe calls for the pancakes to be baked and I love this method! It’s quicker, you need less oil which I think is good because I AM wary of heated oils even when they have a high smoking point. You can also multi task and are not chained over a hot stove flipping cakes. It’s a bit of a revelation to be frank. coconut oil for greasing the baking paper. Then, line a baking tray with baking paper, and very lightly grease with coconut oil. Combine all the ingredients into a high powered blender or food processor and mix until well combined. The batter will be grainy looking and not runny, but should be soft and not dry. Use a 1/4 cup measure to measure batter onto the tray, and use the back of the cup to spread it out into pancake size and shape. Pop in the oven for 10 minutes. If you have made them big and thick, you will need longer cooking time, but take it 2 minutes as a time. They will be a lovely golden brown when they are done with slightly crispy edges. Turn over and cook the other side for the final 2 minutes. Top with fresh fruit and berries, or fresh squeezed lemon juice.